It measures 4 cm x 2 cm including the large Sterling Silver bail and is made of two layers of glass. 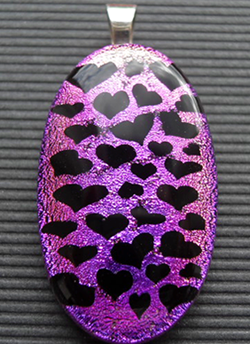 A layer of Black heart patterned Magenta Dichroic glass topped with a layer of clear glass. There is a matching bangle.